One of the few upsides to being dragged 5,352 miles away from her family and friends is that teenagers start driving earlier here. They study an online theory course when they’re 15. When they’re 15½ (and they’ve passed the online theory test), they get a learner’s permit. 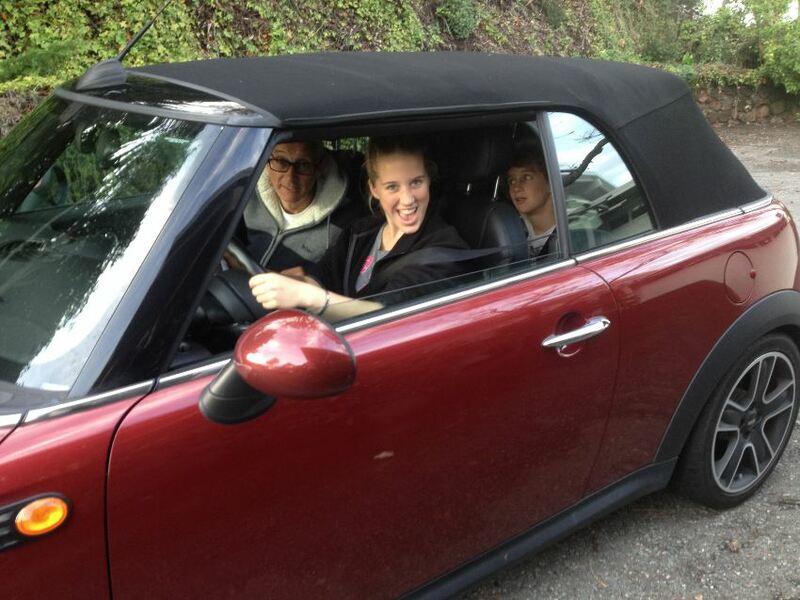 And when they’re 16, they can take a behind-the-wheel test and start driving around the country, utterly unsupervised. Which means that Gabriella started driving everywhere as a learner when she was only 15. She couldn’t wait to tell to her friends in England when she saw them over the New Year. There are two major differences about learning in America that almost make up for allowing kids to drive so crazily young. The first is legal: for a year after passing the driving test, it’s illegal for her to drive, unsupervised, with passengers under the age of 20 (without permission, and she won’t be getting ours! ), so she can get comfortable on the roads without distractions. And the law imposes a curfew of 11pm each night. The second is practical: almost every car in America is automatic, so she learnt how to navigate the roads without having to work out how to change gears at the same time. This meant that Gabriella became competent enough by the end of her first lesson that the instructor directed her back home via the motorway! Ian was in the car (at the instructor’s request, so he could see how Gabriella was being taught) and said that the instructor had nerves of steel. His own hair – what little of it there is – turned whiter during the course of the lesson. Gabriella has yet to learn how to drive a manual (stick shift) car, and she’ll need to know how when she drives in Britain. Gabriella’s first solo journey after passing her driving test today. A pint of milk and loaf of bread, please. The oddest difference about teens learning to drive here, though, is the cost of the insurance. While still learning, the extra charge for insuring a car is zero. Really. There aren’t many things that are cheaper here than in Britain – in fact, the only other thing I can think of is cinema tickets – but this is one of them. Once a teen passes her test, there is a charge, but it’s still less than half the cost of insurance in Britain. Today was a Big Day for Gabriella, because she passed her test. At 16 years and 2 months. More than a year earlier than if she’d been in Britain. And before her English peers are even beginning to dream of driving. She was so excited, she offered to go to the supermarket for me, just so she could drive. And since she can’t drink until she’s 21, she’s our designated driver for the next 5 years. Brrrm brrrm. Congrats to the 16 year old. Am delighted and a little bit jealous! Free chauffeur…. not even extra insurance premium! Georgie can’t wait but the theory test can’t be done until she is 17. 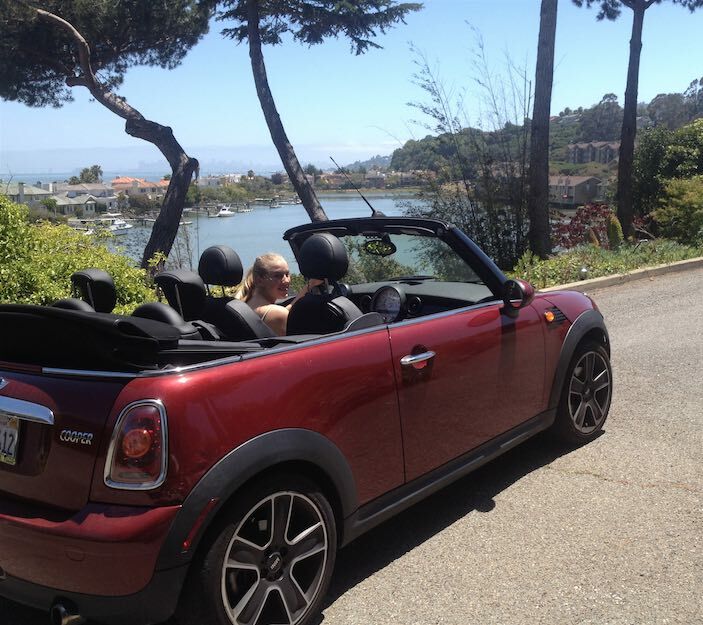 She has had some private driving lessons which she loved (non-highway of course). We have to pay insurance now that she’s passed her test. It was only free while she was at her most dangerous! But it’s still cheaper than in Britain. Please give Gabriella our congratulations. As Gabriella will still be 16 when you are in England for Christmas this year, will she be allowed to drive here with her American licence? Now that would be really cool with her English friends! She won’t be able to drive a rental car, because you have to be 21 or 25 to hire. But we own a car in England, and I wonder if she’d be able to drive that. It’s only a legal question, though, because the car is manual, and she can’t drive a manual car yet. But it would be interesting to find out.